This odd science fiction film explores the lives of three child prodigies who live in an alternate universe where people’s luck (called their frequency) can be measured. 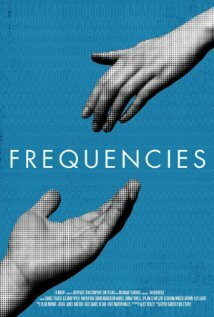 The first half of the film explores the relationship between a couple whose frequencies are at opposite ends of the spectrum, and the relationship they’re able to form despite this. The second half loses much of the drive of the first half as the romantic line of the plot stutters and is replaced by a contest of wills between a father who believes in free will, and his son who believes their entire universe is deterministic and can be reduced to a simple formula that can be used to predict everything. This entry was posted in movies and tagged frequencies, movie, review, science fiction. Bookmark the permalink.